Manual Chemical Pumps for Barrels, Drums, Pails & and Small Containers. 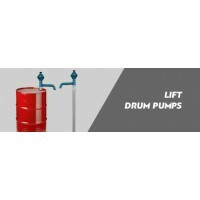 Chemical Drum & Barrel Pump A new type of medium-duty, high output lift pumps for a..
Manual Pump for Solvents Suitable for 5, 10, 20, 25, 30, 50 & 60 litre drums. &n..